Please find below the most recent townhouses for sale in Lynn Valley, North Vancouver starting from $377,000 with daily updates and full Lynn Valley townhouse MLS Search features. Please direct any inquiries to Lynn Valley REALTOR® Jim Pilkington of REMAX Crest Realty, North Vancouver JimPilkington@Shaw.ca 604-785-5188. 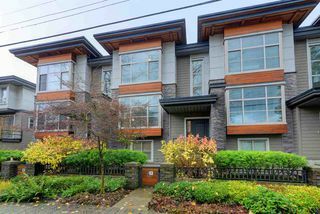 Your complete list of Lynn Valley Townhomes for sale from $550,000 to $1,500,000. 2 bedroom + den, 3 bedroom, 3 bed + den, 4 bedroom townhomes for sale in Lynn Valley. 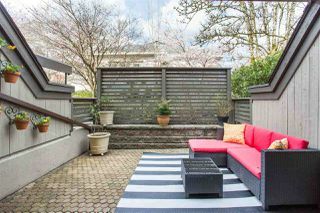 Purchasing a townhouse in Lynn Valley may be an excellent alternative to that of buying a house. 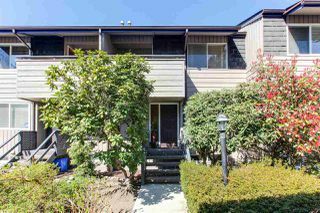 The affordability of a Lynn Valley Townhome might be exactly what you are looking for in order to take residency in this beautiful community and take advantage of all the benefits offered to you. When looking for Townhouses in Lynn Valley North Vancouver, you will open the door to a vast variety of selections. From a traditional Townhomes look and feel, to a modern day equivalent with all the new finishing you have had your eye on, the Lynn Valley area has something for everyone. The current Lynn Valley townhouses for sale are great fit for those not looking to take part in the outside maintenance such as lawns and garden upkeep that comes along with traditional home ownership in Lynn Valley. Feel free to browse the Lynn Valley listings with your customized Lynn Valley Townhomes MLS Search tool located above. If you are buying or selling townhouses in Lynn Valley, North Vancouver, let me show you why I am well positioned to serve my clients. The majority of Townhomes searches for Lynn Valley start online and I am strategically positioned and aligned to take advantage of this for my clients. Owning a Lynn Valley Townhome will open the door to a much desired lifestyle choice, that will include outdoor activities, shopping, great schools, beautiful scenery, breathtaking mountains, biking, trails, lush forests, and so much more. Let me show you all the advantages of owning a Lynn Valley Townhome. Lynn Valley is as vibrant and booming as ever and truly is a community and neighbourhood on the move and offers some of the most beautiful character town houses homes. Lynn Valley hosts some of the most picturesque scenery you could ask for with Lynn Canyon Park and the Lynn Headwaters Regional Park. Access to the Lynn Canyon Ecology Centre and Lynn Canyon Suspension Bridge is off of Peters Road. Lynn Valley residents will take full advantage of the great hiking, trails, cycling, and scenery. With the addition of the new Lynn Valley Village, you’ll enjoy wonderful new shops, restaurants, a fantastic library and more. It’s quickly becoming the heart of the community and one of the top family destinations. Calling Lynn Valley home will also bring you closer to some wonderful community events and traditions. Every spring Lynn Valley host the “Lynn Valley Gala” a dinner and dancing event open to anyone. The following day you’ll be amazed as Lynn Valley comes to life with “Lynn Valley Day”, which starts off with a parade down Lynn Valley Road, followed by entertainment, rides, games, races, and so much more at Lynn Valley Park. During the month of December right in the center of Lynn Valley Village is the ever popular, “A Lynn Valley Christmas”, which hosts over 70+ Christmas trees decorated by local merchants and businesses and kicks off with a visit from Santa, music, choirs, refreshments, and more. If you are buying or selling a townhome in Lynn Valley, let me give you one less thing to worry about. As a courtesy to my clients, I will cover your moving costs!